A disappointing first season that saw Primera-TeamJobs promise plenty, go AWOL mid season and ultimately deliver, little raised questions. A few circuit wins, some gutsy performances from Oscar Hutchings, that did more for him than the team, the highlight of a dis-jointed year. Its all change for 2017. new riders, stronger management, clear strategy and better communications see the team looking forward with optimism. Two recent squad days, have provided quality winter training, some healthy competition and a good deal of mickey-taking, all helping to provide that magical ingredient, good morale! We caught up with new signing Matt Downie after the latest squad day to ask him a few questions. 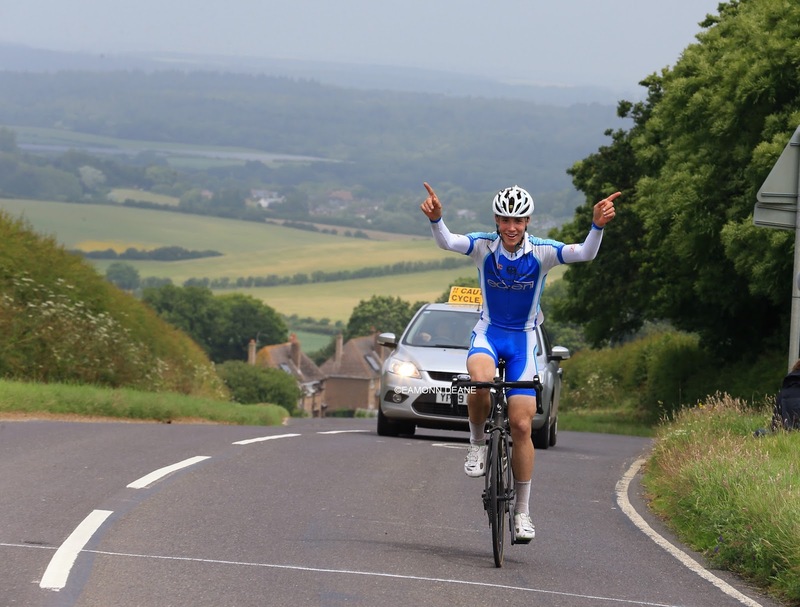 The 19 year old from Eastleigh took up cycling after the being inspired by the London Olympics in 2012, lists lasagne as his favourite food, The Breakfast Club & Lord of the Rings his favourite movies and hates seeing other people brush their teeth! What does you winter training programme look like? Lots of miles, Turbo? Gym, Is it hard to stay motivated through the winter? "This winter I'm looking to improve my overall fitness, so I'm doing a lot more base rides. However I've also been including some threshold work during my base rides just to keep it a bit interesting as well as avoid losing too much speed. I've also been doing as much yoga as possible. I think its harder to stay motivated throughout the winter if you let the cold and wet get to you, I find if I wear the right kit, leg warmers, base layer, over shoes etc it doesn’t make it too hard to go out. Unless the weather is terrible. . I live in Eastleigh, which is perfect for training as I'm pretty much in the middle of the New Forest and the south downs." "I took my end of season break after my last race (Downton 2 day). It was well timed as I got a really bad cold. I only took a week off as I had a mid season break. I'm already well into my winter training now, making sure I don’t repeat last year." You have had a great season, what are the highlights for you? What was your favourite race? What about the lows? any disappointments? "Getting the opportunity to race along side some of the best cyclists in Britain during the Wiltshire GP. Also my first road race win was quite a big highlight for my season. 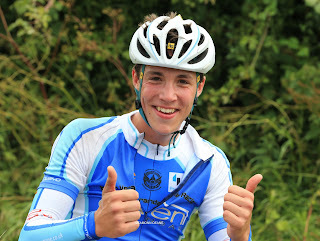 (Bournemouth Cycleworks Purbeck RR) Disappointments…definitely the beginning of the season was dreadful for me. I was 8kg overweight and I was fairly unfit, so going to races like Perfs and James Atherton I was ill prepared." "I usually celebrate by taking my girlfriend out for a meal just as a little thank you for putting up with my eating habits and the hours that I spend training." What are your targets/plans for 2017? "For 2017 I'm hoping to be my best season by far, I'm going to be looking to enter and hopefully do well in bigger races. My first target of next season will be Perfs Pedal race, however my biggest goal for next season will be the British U23 TT championship as well as the national U23 road race. I would like to get a few more opportunities to race in national A races and see how I fair in them. I am very excited to be racing for Primera Team-Jobs and the whole team is highly motivated for next year." What are your strengths? What are your weaknesses? What sort of course do you prefer? "I would have to say my main strength would have to be time trialing, after 6 months into my first racing season I found that it was my best strength. I have two main weaknesses, one is sprinting and the other is really steep climbs, I don’t know why but I struggle to get up and over them. My ideal course would have to be a rolling course, nothing too steep, enough to put the bigger lads in a bit of difficulty but not let the really small guys get too much of an advantage. If there's a section with a bit of a cross wind makes it even better." Who do you admire in the pro peloton? Any heroes? "I am a massive fan of Tom Boonen. He's not just a monster on the cobbles but off them he's a machine. 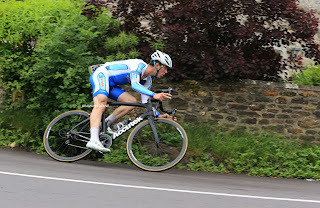 Also Tony Martin is an absolute power house, ripping it on the front when needed. Outside of the pro peloton a true inspiration to me and my cycling is Julian Jenkinson, who sadly passed early this year. Julian taught me a lot in the short time that I knew him and he has inspired me more than anyone." "Well…not as often as I should do. I've been doing it more now that winter has arrived but probably still not as much as I should". What music is on your headphones when warming up pre-race? "I listen to an array of different music genres when warming up, I don’t really have a set play listen. I just listen to whatever I fancy at the time. If I had to chose a set playlist then it would include the likes of Eminem, The white stripes, Notorious BIG and Bring me the horizon. . My favourite artist would have to be Ben Howard, just a great artist with great songs. " "Maths and science was my thing at school, I was no good at english, unlike my sister. But then again she wasn’t that great at maths or science." Away from the bike how do you relax? What other hobbies, if any, do you have? "I don’t really do much away from the bike, I like to read, I'm quite a fan of biographies. I'm currently in the middle of reading Steve Jobs by Walter Isaacson. Apart from that I'm quite into my music. I probably listen to music the majority of my free time, that’s where my phone battery goes." Anybody you would like to mention? "I would like to thank a few people that have helped me with my journey so far, first one goes out to Dave Harding that helped me massively when I first started cycling, second goes out to everyone that was at Eden Veranda, especially Chris Linney who helped me boost my confidence in cycling." 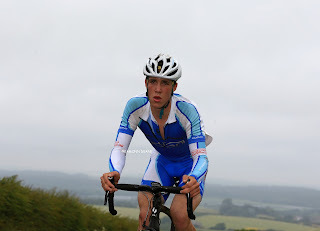 Downie will be riding the New Forest cc Boxing Day 10 mile time trial.